Chef Allen Susser is the kind of chef that makes Miami proud. Celebrated as one of the original Mango Gang, Chef Allen has authored numerous books, received countless awards including from Food & Wine Magazine and a coveted James Beard Award, Best Chef Southeast and even has an honorary doctorate from Johnson & Wales. His philanthropic work as Ambassador for Taste Of The Nation event benefitting No Kid Hungry is just one of the many local charities he works with. But he is a humble and not at all showy a chef. A perennial student, I found him at a table at the Cafe at Books & Books at the Arsht Center leafing thru a cookbook. He looked up, smiled and admitted that this is his favorite reading and that he is always on the search for new dishes or recipes he can put his own twist on. As a guest at his popular Market Mondays Farm to Table Dinners at the Arsht Center, I was there early to talk to Chef Allen about his thoughts on the Miami food scene and even the late Anthony Bourdain, who he knew and had cooked alongside. How has being a chef changed over the last few years? I enjoy seeing the younger chefs taking chances with their menus. There are many more options for locals to dine in their own neighborhoods. International cuisines with so many influences from all of South America, not just Cuba, and a diversity that makes Miami such a vibrant food destination. Tell me about your Books & Books partnership and these wonderful Farm to Table dinners? It is wonderful to partner with a local, independent bookstore that is so responsive to the community offering creative and thought-provoking programming. The Café at Books & Books tries to mirror that sense of community, offering sustainable cuisine and sourcing from local farms and farmers. 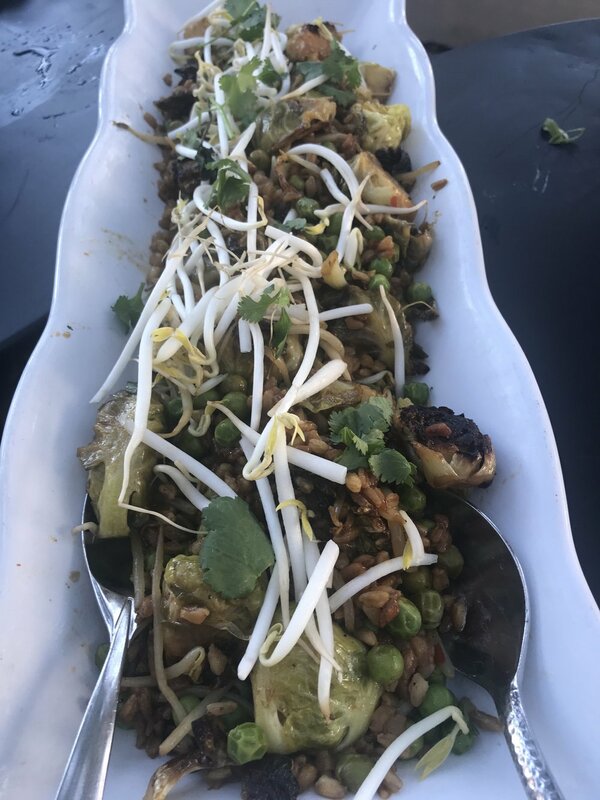 Our Farm to Table dinners are strictly vegetarian meals and feature the fruits and vegetables of the season be it, jackfruit, mangos, papaya and others even more exotic. Anthony Bourdain. You knew him and had worked alongside him. His sudden and tragic death has rocked the food world. Your thoughts? Tony was larger than life and had always struggled with his demons and addictions. We may never know what finally pushed him to the edge, but it is sad that someone who seemed so full of life, just could not deal with life a moment more. Food Shows/ Reality TV- Good or Bad- Good for entertainment. Bad as it glamorizes being a chef and gives aspiring chefs high expectations. Last dish you cooked for yourself: Egg white omelet with spinach, goat cheese, and crushed red pepper. If you could cook alongside any chef, alive or dead, who would it be: Julia Child- her sense of humor and sense of flavor was amazing. What inspires you in the kitchen? New ingredients, new seeds, new combos. There is a 30-acre organic farm in St Lucia that is growing amazing new fruits and vegetables that I look forward to using. I glanced at my phone (no longer wearing a watch) and saw that it was time for Chef Allen to go and prepare his signature Vegetarian Farm to Table dinner that he offers every Monday at the Urban Oasis Project’s Farmers Market at The Arsht Center and monthly at The Café at Books & Books in Coral Gables. Priced at $30 with additional $18 for wine pairings, the 5-course meal is served family style and encourages conversation and one always leaves having made new friends. This visit, I chatted with a young doctor and girlfriend and with a 75-year-old Frenchman who taught tango and ballroom dance lessons. 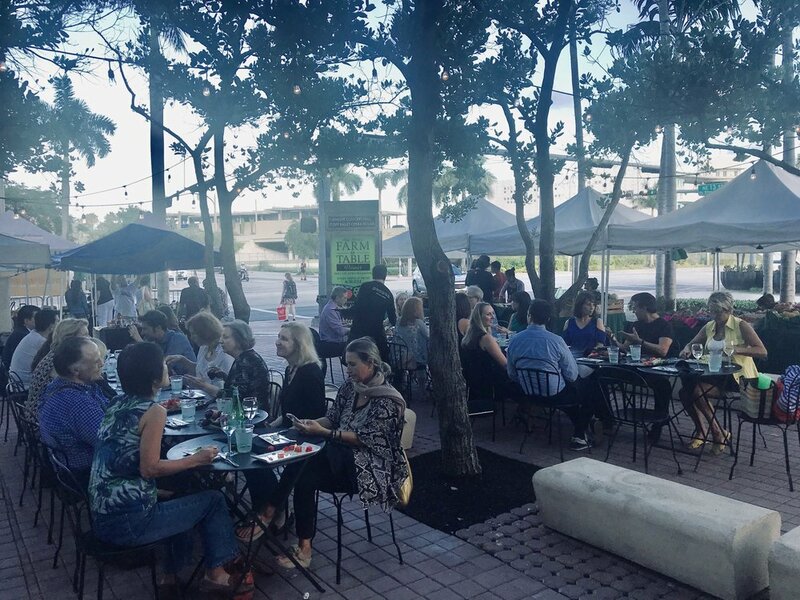 It was a creative urban farm dinner on a hot Miami summer night. And join Chef Allen as he hosts the first South Beach Mango Festival on Sunday, August 5th at Lummus Park on Miami Beach to celebrate all things mango including mango cocktails, mango-inspired food, mangos to buy and special kids activities. Tickets are only $20, and available on Eventbrite.